Belt Tensioner Wheels & Bkts. Suspension Ball Joints. Windscreen Wiper Blades. JP GROUP,FEBI,VIEROL,Or-Equivalent. Any claims after 24 hours cannot be accepted. Rear Lights. Front Exhausts Cats. Estimates can be provided beforehand but prices may differ upon ordering. IN DOUBT WHETHER IT WILL FIT?. AND WE WILL DIRECT. MAINLAND -24 HRS. (incl: NORWAY & SWITZERLAND). Trabant 1.1 1.1 1.1 L / 1043 cc 1990.05 - 1991.12 30 Kw / 41 HP. Trabant 1.1 Tramp 1.1 1.1 L / 1043 cc 1990.05 - 1991.12 30 Kw / 41 HP. Trabant 1.1 Universal 1.1 1.1 L / 1043 cc 1990.12 - 1991.12 30 Kw / 41 HP. There may be on occasions more than one compatible part for your vehicle. Then at our discretion we will decide the next course of action. We will do our best to answer as fast as possible. Part Number:7.21440.51.0. There may be on occasions more than one compatible part for your vehicle. Then at our discretion we will decide the next course of action. We will do our best to answer as fast as possible. Part Number:76041. PEUGEOT - 204 - 1.1 09.75 - 07.77 Saloon 43 58 1127. PEUGEOT - 204 - 1.1 10.65 - 07.69 Saloon 39 53 1130. PEUGEOT - 204 - 1.1 07.69 - 07.77 Saloon 40 55 1130. PEUGEOT - 104 - 0.9 10.72 - 10.79 Hatchback 34 46 954. TRABANT 1.1 1.1 90-91 1.1 Sedan. TRABANT 1.1 Tramp 1.1 90-91 1.1 Convertible. TRABANT 1.1 Universal 1.1 90-91 1.1 Wagon. WARTBURG 353 1.3 88-91 1.3 Sedan. WARTBURG 353 Tourist 1.3 89-91 1.3 Wagon. VW JETTA II (19E, 1G2, 165) 1.3. Part Manufacturer:PIERBURG 7.02242.26.0. VW POLO (86C, 80) HATCHBACK 1.0 CAT 45 HP AAU, ACM, AAK 1989.08-1994.09. VW POLO (86C, 80) HATCHBACK 1.0 45 HP HZ 1985.08-1992.01. VW POLO (86C, 80) HATCHBACK 1.3 CAT 55 HP AAV, 2G, NZ, MH 1987.07-1994.09. JETTA II (19E, 1G2, 165). GOLF II (19E, 1G1). POLO (6N1). POLO (86C, 80). POLO CLASSIC (86C, 80). POLO coupe (86C, 80). POLO box (6NF). POLO box (86CF). Trabant 4VO5,9 / 7,5GRF 1043 cc 30 41 Petrol. Trabant 1.1 1.1 1.1 L / 1043 cc 1990.05 - 1991.12 30 Kw / 41 HP. Trabant 1.1 Tramp 1.1 1.1 L / 1043 cc 1990.05 - 1991.12 30 Kw / 41 HP. Trabant 1.1 Universal 1.1 1.1 L / 1043 cc 1990.12 - 1991.12 30 Kw / 41 HP. Fiat Ritmo II 138A 60 1.1 1985/04-1987/12 1116 CC, 43 KW, 58 HP. Fiat Ritmo II 138A 105 1.6 1983/01-1987/12 1585 CC, 77 KW, 105 HP. Fiat Ritmo II 138_ 75 1.5 1985-1988/12/09 1498 CC, 55 KW, 75 HP. Fiat Ritmo 138A 1.5 1983/01-1987/12 1498 CC, 60 KW 82 HP. OEM Numbers: 030127025. AUDI 030127025. SEAT 030127025. SKODA 030127025. VAG 030127025. VW 030127025. TRABANT 1.1 1.1 05/1990 -. TRABANT 1.1 Tramp 1.1 05/1990 -. Produktgruppe Kraftstoffversorgung. Produkttyp KRAFTSTOFFPUMPE. Steering column switch. GT 1968-09 - 1973-08. DIPLOMAT B 1969-03 - 1978-08. PDC sensors / parking aid. Oil level sensors. Oil separator. Fuel petrol. 1x fuel pump with mounting hardware. weight 0,4 kg. serve for comparison purposes only and are not original designations. AUDI FUEL PUMP UNIVERSAL. AUTOBIANCHI FUEL PUMP UNIVERSAL. 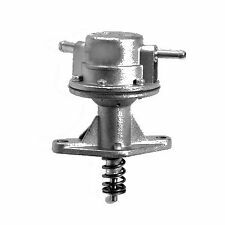 BEDFORD FUEL PUMP UNIVERSAL. 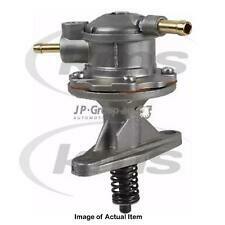 BMW FUEL PUMP UNIVERSAL. Pressure: 0,2 bar. CITROËN FUEL PUMP UNIVERSAL. DAF FUEL PUMP UNIVERSAL. DAIHATSU FUEL PUMP UNIVERSAL. Manufacturer Part Number 474658. Use engines info and vehicle YMM compatibility chart for general guide. Strictly important to provide VIN along with your detailed request since there can be different options for your car specific tech characteristics. Electirc Fuel Pump AUDI A3 SEAT SKODA OCTAVIA V. Electirc Fuel Pump BMW 3 E30 RENAULT 19 21 CLIO. 34,03. Electirc Fuel Pump Gasoline Opel Astra H 69,57. 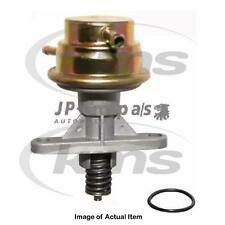 Electirc Fuel Pump Gasoline VW GOLF III VENTO 46,54. BEDFORD MIDI Box 1.8. from 07/1986 - 10/1988. Engine Code: PP. from 07/1986 - 06/1990. BEDFORD MIDI Box 0.9. from 01/1973 - 10/1987. BEDFORD BLITZ (CF97) 2.3 D. from 02/1980 - 10/1983. The parts are easy to replace the original parts to the original mounting points. The following original part numbers are for comparison purposes only, they receive no part of the original but a part of the accessories market. Fuel Mixture Formation: Carburettor. AUDI 021906091B. PIERBURG 72069412. AUDI 021906091A. PIAGGIO 72144051. VW 021906091B. VW 021906091A. Produktart Elektrisch. Steering column switch. PANDA (141A_) 1980-03 – 2004-07. DIPLOMAT B 1969-03 - 1978-08. PDC sensors / parking aid. Oil level sensors. Oil separator. COMMODORE C (14_, 19_) 1978-08 - 1982-12. Steering column switch. GT 1968-09 - 1973-08. Wheel Bearing Kit. PDC sensors / parking aid. Oil level sensors. Oil separator. CORSA A h (93_, 94_, 98_, 99A) 1982-09 - 1993-03. Air spring.